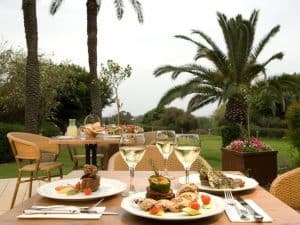 Conveniently located between Tel Aviv and Haifa just few hundred metres from the coast, lies this beautiful estate offering luxurious ambiance in the heart of Caesarea’s 18-hole golf resort. 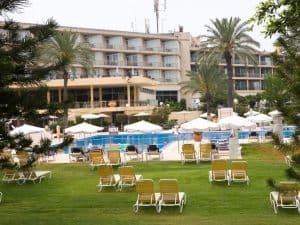 Free Wi-Fi is available throughout the property.The Dan Caesarea offers a wide range of indoor and outdoor facilities including a swimming pool and children’s pool, tennis courts (day/night), table tennis, volleyball, football and mini- football pitches, basketball courts, water basketball, mini golf and cycling. 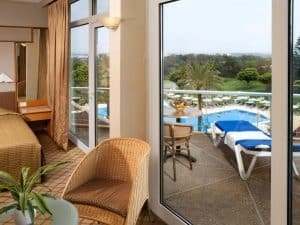 Guest rooms are spacious and elegant and they offer either sea view or pool and golf views. 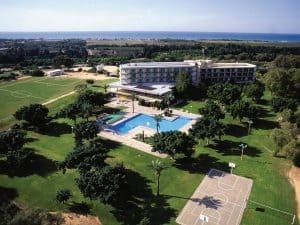 Staying at this hotel allows guests to admire the beauty of nature and to enjoy tranquillity and peacefulness.